A very humble thank you to everyone that came to Ignite tonight. 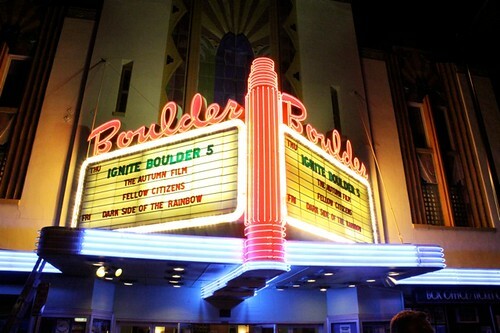 I never imagined having an event at the Boulder Theater, nevertheless a very fun, high energy and geeky event. Thank you to the speakers, you did amazing and did more than make us laugh, you taught something, and that was beautiful. Thank you to the staff at Boulder Theater. Thank you to the volunteers that made the event run with very few hitches! Thank you to our sponsors, Adobe, One Button Life, Fruit Friends (autonomous), Your Mom (yes, someone gave us stuff to give away with the stipulation that ‘your mom’ was a sponsor), Settembre Cellars and Hapa Sushi! And thank you to you, for coming and supporting a community event. More after we all decompress a bit.